In the PQT men's group, 14 year old Jin Yucheng(金禹丞) 6D beat Zheng Zaixiang 6D in round 12 to get to 10 wins. Jin 6D earned pro status through early qualification, becoming the third new pro on the men's side this year after Lu Liyan and Sha Xingyu. All three of them are from Hangzhou Go School. This is the fifth time Jin Yucheng participated in the PQT. Before this year his best finish was number 32. 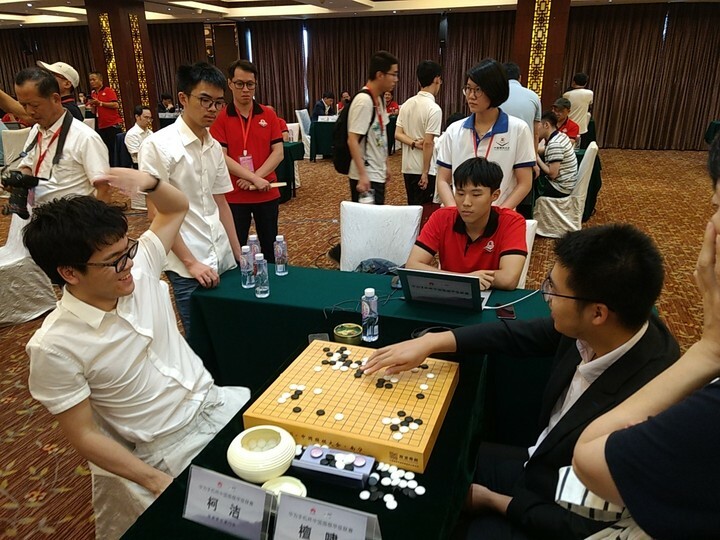 Han Enyi: Lost to Li Haotong 7D in round 10 and Hua Chang(花畅) 6D in round 11. 12 points. Needs to win the last two rounds to get into top 20. Zhang Xinyu: Eliminated afer round 9. 6 points. Hu Zihao: Beat Yang Kuan(杨宽) 6D in round 10 but lost to new pro (to be) Jin Yucheng 6D. 16 points. He is in very good shape and most likely will make pro this year. Luo Zhuofan: Also lost to Jin Yucheng 6D but beat Hu Xiao 6D in round 11. 16 points. Also in good standing. Wen Zhaojing: Eliminated after round 9. 6 points. 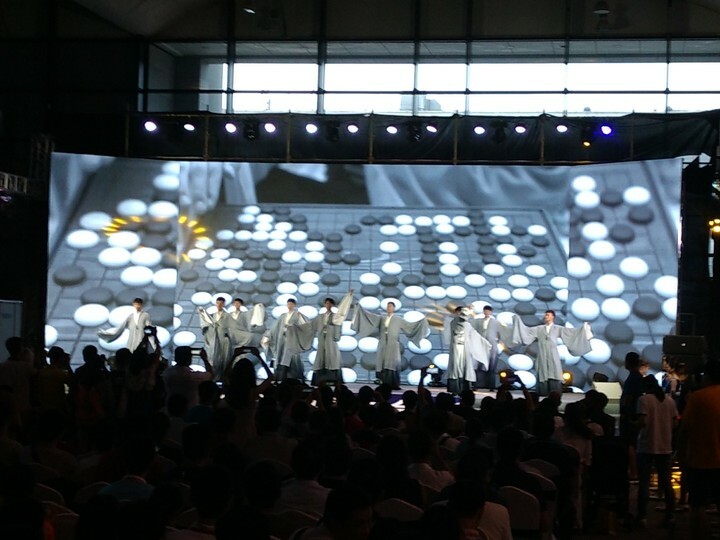 The 2018 Chinese Weiqi Congress has come to a close. We have the final standing for both PQT and HTT tournament. Here are our 44 new pros, 30 on the men's side, 14 on the women's side. The above earned 1p status through Early Qualification (9 wins after 10 rounds or 10 wins after 12 rounds). The above were promoted to 6D (Note by rule number 21-25 earns 6D, but in reality all 5 players are already 6Ds. This '6D' rule does not extend to players finished outside 25 in this situation, so no new 6Ds were produced by the rule). Our friend Hu Zihao, Han Enyi, Luo Zhuofan all made pro this year! Also all 3 players that are 13 or younger made pro in their natural position (they all finished in top 20 straight up). So the "Young player first" rule did not make a difference, unless you want to argue that knowing they are young and have an advantage made them more confident and boosted their results. Zhang Xinyu 5D finished at 101st place. He is just not strong enough yet. He will likely earn a 6D before turning pro. The above were promoted to 6D (in this case the rule made a difference. Both were 5D before the tournament). Wen Zhaojing finished at 77th place. Her big sis Wen Zhaoyi made pro last year, but she is 5 years younger so she still got time. Last edited by wolfking on Thu Aug 16, 2018 12:43 pm, edited 2 times in total. By the way, do we have an idea if there's a significant difference in strenght between the men and women tournament? Are the young ladies weaker than the boys, or are they closing the gap? The above earned 1p or 7D status. 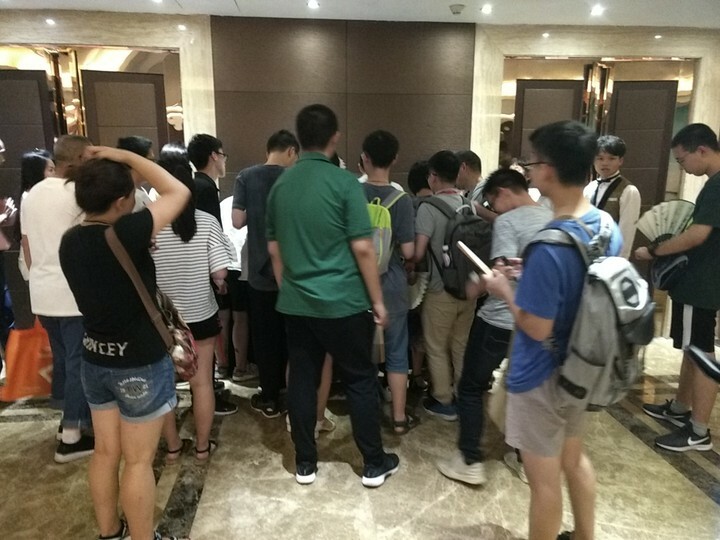 There was no early promostion rule in the HTT tournament. Nie Fenglin started with 9 wins then lost 4 in a row. Fortunately by winning early he accumulated enough opponent points to edge out several other 9 win players. Due to the fact that the HTT tournament does not have an age limit, some of the older players might wish to keep their amateur status as the pro scene could be too competitive for them. In that case they can choose to accept 7D status as as an alternative. I just learned that of the 10 qualifiers Wei Xiaolin, Cheng Shijiao and Nie Fenglin chose to remain amateur and were promoted to 7D. The rest chose to turn pro. The above were promoted to 6D （Liu and Li were 6Ds before the tournament). The above earned 1p or 7D (Nobody turned down pro status on the women's side). The above were promoted to 6D (both were 5Ds). I just realized that I misspelled Deng's name all this time (I spelled it as Deng Yinyi instead of the correct form Deng Xinyi. The given name should starts with an X not Y). The second character of her name is the same as our 10 year old kid Zhang Xinyu, not sure how I messed that up. Last edited by wolfking on Wed Aug 15, 2018 6:28 pm, edited 1 time in total. I think the girls are slightly weaker on average, but at the top they are close. For example Wu Yiming is a pretty strong 6D regardless of her being 11 years old. She beat last year's new pro Dong Kun 1p in the C-League in June, and Dong Kun just turned 2p in July. I believe as amateurs the young girls and boys are relatively close in strength. But once they turn pro the gender gap seems to widen. 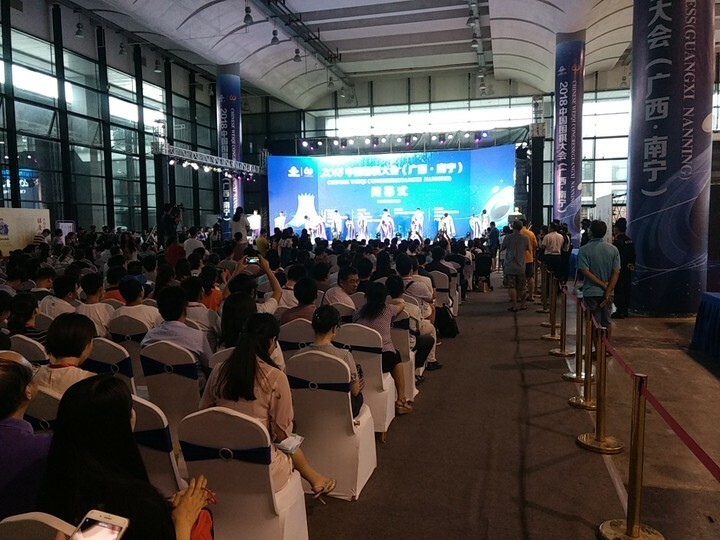 My theory is that most of amateur tournaments in China does not have separate women groups, and girls have to compete with boys in amateur tournaments and Dojo training rounds. But once they turn pro women tend to play in the women only tournaments and Women's A-League. Although most Chinese and international tournaments are open in nature some women do not participate and those do often gets knocked out in the preliminary rounds. So as a women pro you get to play a few rounds per year against men. Once you fall behind it is hard to catch up. But promising male new pros often gets absorbed into A-League clubs as "young blood" and trains with the very best on daily basis, and gets playing time as substitute (For example Tu Xiaoyu, He Yang, Yi Lingtao are all very young pros playing in A-League. They started out terrible but now they are gradually becoming a strength instead of weakness for their team). That is how the gap grows wider between male and female new pros. A secondary reason might be that as your playing level goes up you perform more stable and upsets are less likely to happen compare to amateurs. That also translates to less games with top male pros, and wider gap in appearance. Back in the old days (70's 80's) Chinese women players were treated as men's equal and Kong Xiangming, Rui Naiwei, Yang Hui, Hua Xueming and later Zhang Xuan all had good results against men. Now China's number one women player Yu Zhiying ranks about 50 in CWA ranking. I think if some A-League club takes in Wu Yiming and trains her just like they would any promising new pro Wu could become very strong very quickly. By the way, in the second photo the gentleman at the left end is CWA chair, general Lin Jianchao. He took over the chair position from Wang Ru'nan 8p last December. Last edited by wolfking on Wed Aug 15, 2018 7:09 pm, edited 2 times in total. So finally are we looking at about 41 new pros? In any case this seems a lot more than last year. Do you know if this was a conscious decision to expand the number of active pros in China or will there be a push for some of the less successful pros to become inactive or retire? Yes there are 41 new pros. I believe it has been long in discussion about lifting the age limit in the PQT. I perceive the HTT as a compromise: we are keeping the age limit in PQT, but also giving the older amateurs a chance at becoming pro in the HTT. I do not know if this format will be the new norm or not. 41 or the potential 44 is a lot, so I actually do not expect this high rate of pro generation to continue. It is possible that once they believe over age amateurs had their chance they might reduce the quota in the HTT or simple go back to PQT only. A few tidbits from the PQT. 1. Wu Yiming is the youngest ever in Chinese Go history to earn 6D (at 10) and 1p (at 11). And she did so in style too! 2. 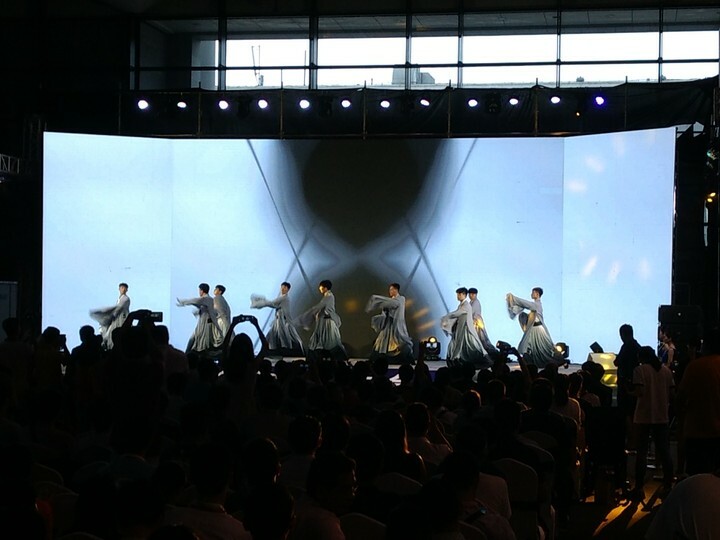 Hangzhou Go School swept all 10 positions in the PQT women's group. 3. 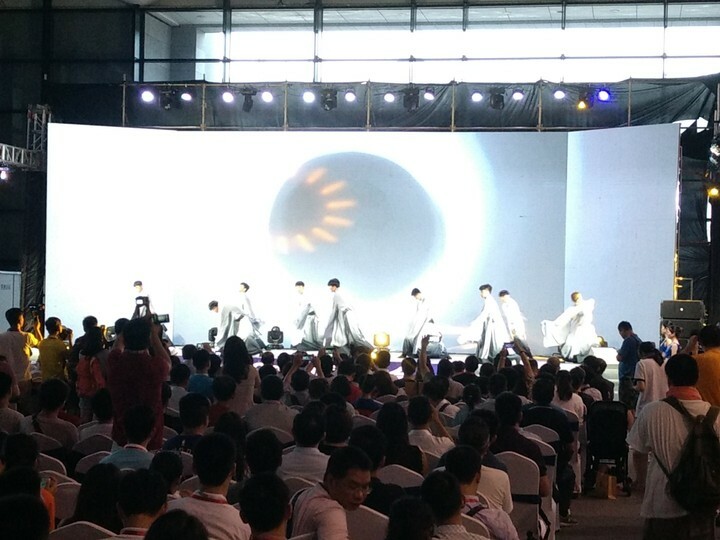 Team Hangzhou also took away 14 of the 20 positions in the PQT men's group, including the top 5. Ge Yuhong Dojo took 3, Nie Weiping Dojo took 2. I believe the last spot belongs to Mr "No Dojo" Zhang Yichao. To be fair, quite a few Hangzhou players also trained in Beijing Dojos (Nie, Ge, Ding Lie, Ma) at various times. Many of them chose to continue in Hangzhou for the more relaxed but efficient system and much lower cost. Life in the capital city Beijing is not cheap. I will be posting more detailed info of the new pros if it is available. Might take a while to finish all the new pros. Born in Taiyuan, Shanxi Province. Age 24. A graduate from Shanghai Foreign Language University, Sha is a well known top amateur especially in collegiate Go competitions. He was the runner up at the fifth World Collegiate Go Championship held at University of Cambridge earlier this year. Born in 2001, Fugou County, Henan Province. 2017 Qingdao Press Cup champion, 2018 Weixing Cup runner up, 2018 Fengcheng Cup champion, 2018 Yellow River Cup champion. Earned 7D after winning the Yellow River Cup in May. Born in 2004, Fushun, Liaoning Province. Runner up at 2017 Pufa Bank Cup, 3rd at 2018 Fengcheng Cup. This is his 5th PQT. Born in 2003 in Anqing, Anhui Province. There is also a Wang Shuo 3p with exact same characters for name. We will probably need to go with Big Wang Shuo and Little Wang Shuo when they both show up in tournaments. Born in 2005, Chengdu, Sichuang Province. He went to Ge Dojo in 2014 but moved to Hangzhou in 2017 to study at the Go School under the tutelage of Li Zhe 6p, who was also from Chengdu. This is his 4th PQT. Zheng is a well know child prodigy and might get an invitation from Chengdu Go Institute soon. He will need to choose between going back his hometown Chengdu (has one A-League team) or staying in Hangzhou (has 3 A-League teams with better training environment but more intense competition). He will turn 13 next month. Born 2000 in Wujiang District, Suzhou, Jiangsu Province. Wujiang is one of the 36 Go Cities in China, but never had a local born pro until Yang turned pro this year. 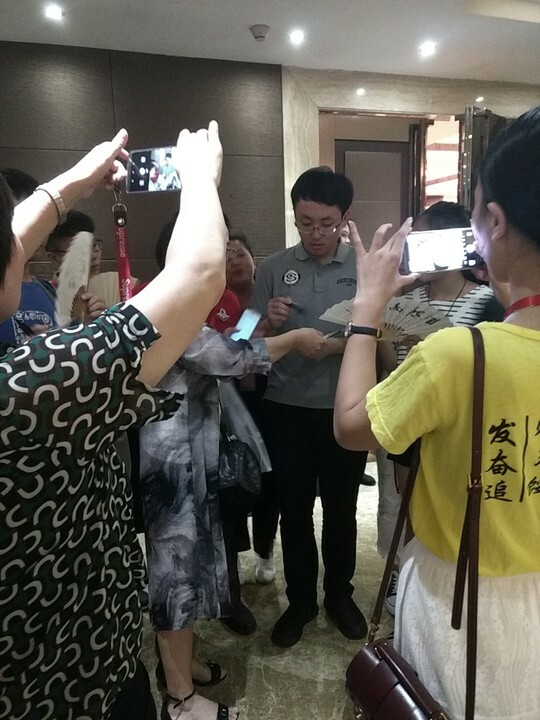 Yang also won 3rd place in last year's Chinese Go Congress Main Tournament and earned 7D. Runner up at 2018 Yellow River Cup behind Lu Liyan. Last edited by wolfking on Mon Sep 17, 2018 10:37 am, edited 1 time in total. Unfortunately, I could not free myself on 14th. I went back on 15th, for a couple of hours at the Red Forest Hotel. The playing hall was closed while games were still on going. I still managed to get inside to take some pictures, I am sure you will recognize KeJie and LeeSedol on those pictures. I am not sure about KeJie's game, it might have been over already at the time (early loose, or about to resign) and was discussing it with his opponent. Then I waited in the waiting hall until the end of the matches. 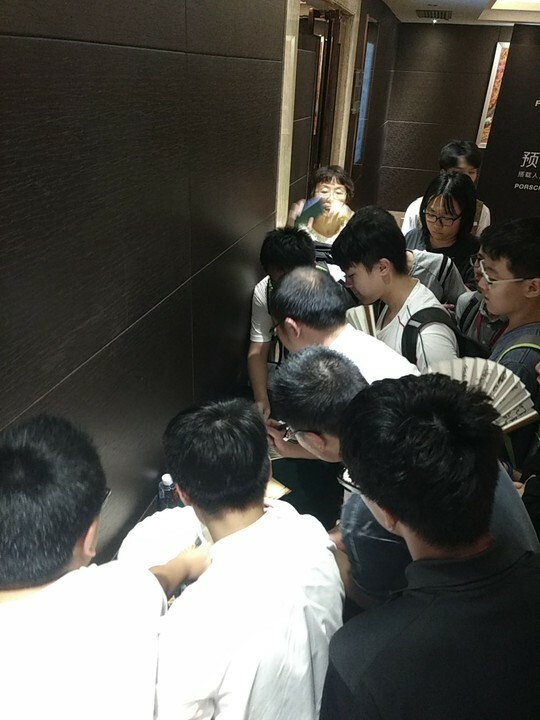 It was a lot of fun to watch: plenty of Go fans (mostly young players) waiting with fan to get an autograph from the pros leaving the room. Most had brought a fan, some had brought a Go book to sign on it. Shame of me, I had nothing with me, but I managed to get a selfie with LeeSedol (but I will spare you with that). The hotel staff only let us go inside when the last game was completed. 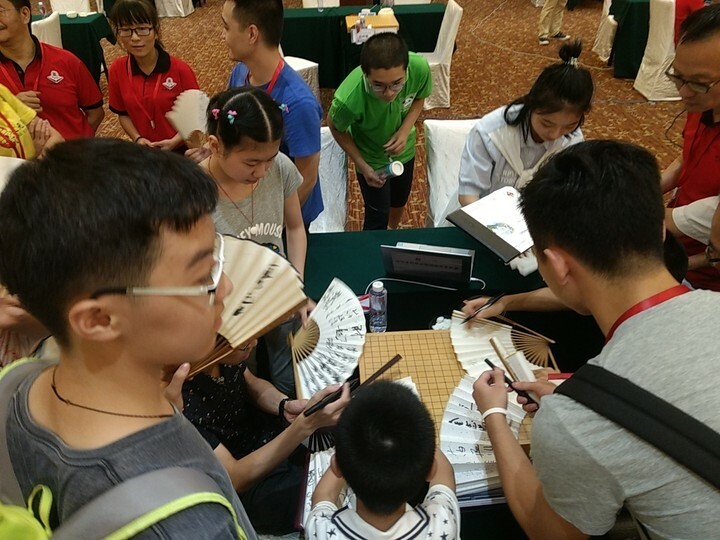 It was really heart-warming to see so much enthusiasm generated by Go, especially among young players. Then, I quickly moved to the Go Congress, to have a quick look at the closing ceremony, but could not stay for a long time. 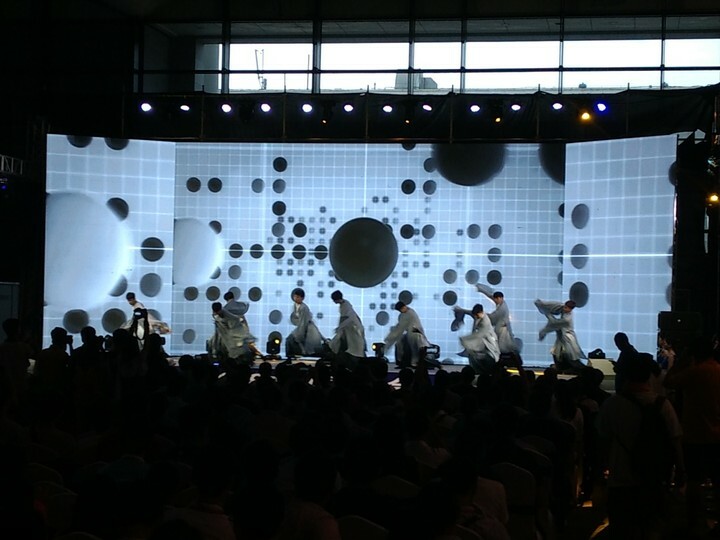 There was a performance on stage, here is a very short video and pictures below for you to get an idea. Edit: I remember that during the closing ceremony, they also showed a video featuring all the events of the Go Congress (and although maybe the PQT and A league). That video would be worth a watch is someone can found it on the internet. I looked of it the other day on Baidu but did not find it. Maybe it has been uploaded since then. pnprog, Thanks for posting all the pictures! I would love to see that selfie! Born 2003 in Quanzhou, Fujian Province. We talked about Luo last year during the PQT. He earned 7D by winning the Red Boad Cup in February 2017. Five months later he won 4th place in the amateur group of the National Games. This is his 5th PQT. Still has not hit his 15 year birthday yet (it is in December). Born 2001 in Changzhou, Jiangsu Province. Started studying Go at age 6 (believe it or not, this is considered a bit late among aspiring young amateurs. For example both Luo Zhuofan and Wu Yiming started taking lessons at 4). It took only two years for him to reach 5D. Obviously to go to the next level he needed to go to a professional Dojo, which was what he wanted, but his parents were not sure if Go pro was the right choice for Hu. Two years would pass before they could make up their mind to accompany him to Beijing and study in Ge Yuhong Dojo. 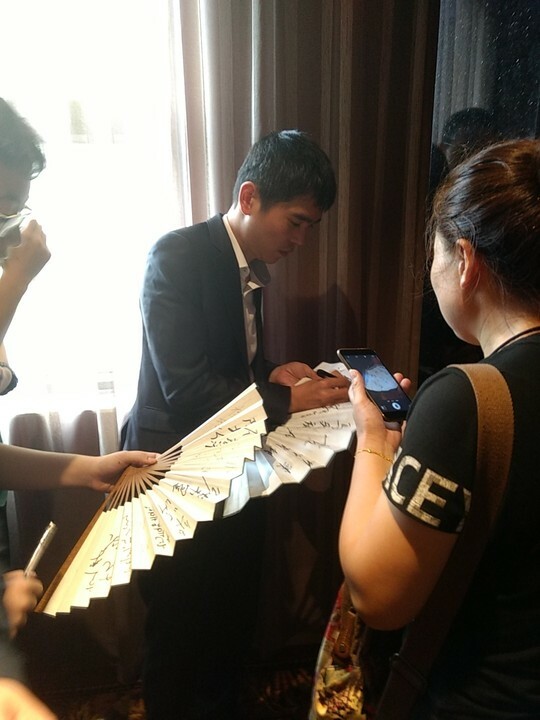 Hu Xiao became famous when he won the youth group championship at the Phoenix Summit in 2015 (the runner up was Liu Yuhang, who turned pro very next year and is now a 3p; this year's new pro Lu Liyan was 4th, Luo Zhuofan was 6th) and beat Nie Weiping in a two stone game. He was one win short of turning pro that same year, but had to take 3 more years to get here. This just shows you how tough the competition is. Hu also won last year's M'Lily Cup (not the professional one). 7th in this year's Fengcheng Cup and M'Lily Cup. Last edited by wolfking on Mon Sep 17, 2018 10:44 am, edited 1 time in total. Born in 2005, Luoyang, Henan Province. He started to study Go at 4 and for a while was a student of Feng Wei 3p in Luoyang. In 2014 he went to Beijing and became a student at Nie Weiping Dojo. In 2015 He won the Little Bailing Cup Group B. This is his 5th PQT. Born 2004 in Zaozhuang, Shandong Province. 2018 Fengcheng Cup 7th place, 2018 M'Lily Cup 4th place. 2018 Chenyi Cup finalist (he will play Bai Baoxiang 8D for championship in October). Chenyi Cup is one of two amateur tournaments (the other one is the Evening Post Cup) in China that the champion has the option to turn pro if under age 25, so had he failed in this PQT he would still have another shot at pro status in two months. Born in 1997, Zhao is only 3 months younger than Ke Jie, so we may say he is a late bloomer in the world of Chinese Go. And he did not start learning Go until age 10! Many other members of this 2018 class were already 5D even 6D (at least we have Wu Yiming in that category) at that age! But he improved rather quickly and was winning amateur tournaments not long after. In 2013 he won 4th place in a national tournament. 2014 was the year that he started at Hangzhou Go School. In 2015 he won the Mingren of his hometown Xuzhou, Jiangsu Province. He was 7th in last year's Fengcheng Cup, runner up at this year's M'Lily Cup.